Thought it would be fun to play around with some new Tech and showcase some RGB action. More upgrades to come. I wanted to not break the bank with this build but showcase some basic level builds, no liquid cooling, and show off the View 37 RGB case. I moved the two front stock 140mm fans to the inside and have them bringing air into the case and replaced the two stock 140mm with the RIING 20 (200mm) Thermaltake fans. Still messing around with it, but if you like RGB I think it looks awesome! Of course it’s sarcasm to be funny :) and also literally, the build is beautiful! Nobody tell him that Lian Li just announced an RGB power cable. excuse me sir. you missed a little RGB in the corner. Nice Build. How's the ThermalTake case treating you? New with pcs. 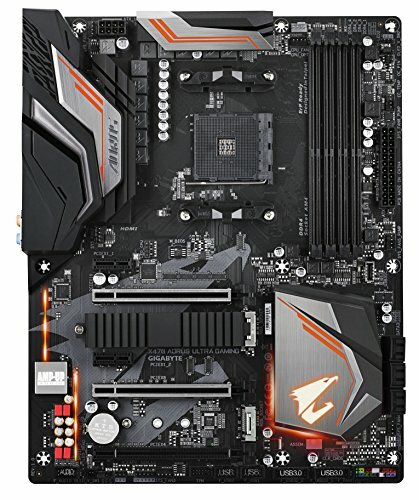 Is this build powerful enough to run 4k? Example, bf1 4k. Well most definitely the processor could, only trouble is that we have no idea what GPU there is in there. But... the 1070 can run maybe some lighter titles at lower settings at 4K pretty well, the 1080 is decent at most AAA games at 4k, and the 1080ti is the flagship card (excluding the Titan V which is near 4,000 dollars...) should be able to handle almost all games on high settings at 60 fps at 4k! hope this helps! I really appreciate how it doesn't break the bank too much, and still looks awesome. Was wondering what kind of graphics card you have in there. Wow, first one I have seen with wraparound glass like that. Because your cooling fans are so massive, it looks like it could be a double bass speaker with integrated amp (whimsically speaking). #8) Well done. Pretty nice build, although I think it could use some more RGB, bit too dark for my tastes. You took RGB to the next level for sure. Agreed. I haven't done much on the GPU side yet since I'm waiting for the 11 series from Nvidia to come out. Currently running my old MSI 980. That build looks amazing. Now I'm thinking of doing an RGB build also :). Are the RGB fans easy to setup though? Software-wise? Extremely easy! Thermaltake does an awesome job with their software. Gigabyte's RGB fusion app is decent as well allowing for more customizing. Hey man (or woman? ), just wondering does all of your RGB sync? Sorry for the delayed response. It does, the only thing right now that does its own thing is the LED ring around the AMD Stock Fan that comes with the 2700X. 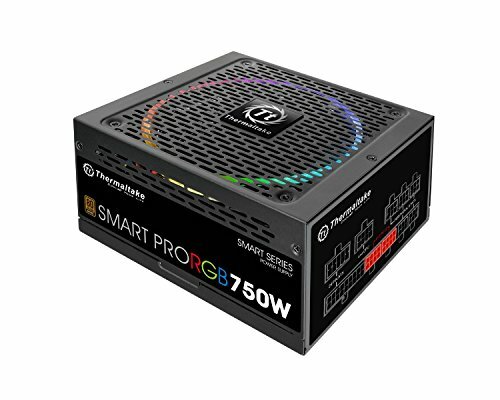 There is supposed to be a RGB upgrade coming out soon to fix that. This is amazing yet the more I look at it the more I start to see it as a Rgb Toy. Thank you. Performance has been great! Crossing my fingers for the GTX 11 series to release here next month. The 2 fans on the mobo side of the case...those are exhaust fans or intakes? 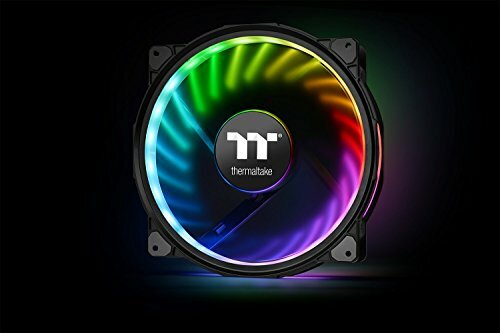 I have a Thermaltake Core V31 from a few years back and am wanting to change the case. I love that this V37 doesn't have a psu shroud and has all the view into the case to see custom cables, rgb fans and stuff, etc. But I worry about the airflow. How did you set up your case fans? The two fans on the MoBo side are intakes. I too was worried about airflow so I thought i better bring more in. The only Exhaust fan for this case is the rear case fan. The two front 200mm Fans are also intakes, but the View RGB case only has about a 1 inch vent on the front to bring in air. So far so good on keeping things cool. I was hoping I didn't have to upgrade to a huge Liquid Cooler and I am still crossing my fingers there. Excuse me sir, where is your gpu? It is in there. MSI GTX980. I was waiting for the RTX2080 Ti to come out. Hi I have a question, did the front 200mm fans come position like that? Or did you move the two fans apart? I am looking to get this case. Thank you. Okay, thank you. I just thought the two fans are kinda separated, I dont really like that. Maybe i got bad sight but still i'll ask you, where did you put your Crucial m.2 ssd ? it is located right under the GPU, kind of hard to see cause it has a black heat shield on it. Cool first thought was that i want the same build! Nice rig! I have been looking for someone else who use this case in an AMD build on here. I'm currently planning a build with this case, and almost as much RGB lol but I will have colored liquid cooling.. It's nice to see one that looks great. Cable management is hella easy, and yes, the portion where I used the two extra fans on the back of the case is the exhaust/intake area for your liquid cooling so it will run nice. I have yet to have any issues with just fans so far but I am not overclocking this guy. Saying "Not being rude" does not, in fact, make your comment any less rude. @HallowRace, I googled your case and it looks like it comes with 2x120mm fans. Your case supports up to 4 more fans. You might need to do some research to make sure you can plug them into your motherboard (like looking at a fan controller). You can also look at the specifications for your case to know the sizes (http://www.fractal-design.com/home/product/cases/define-series/define-mini-c-tg) and browse completed builds with that case to see what other people have done.